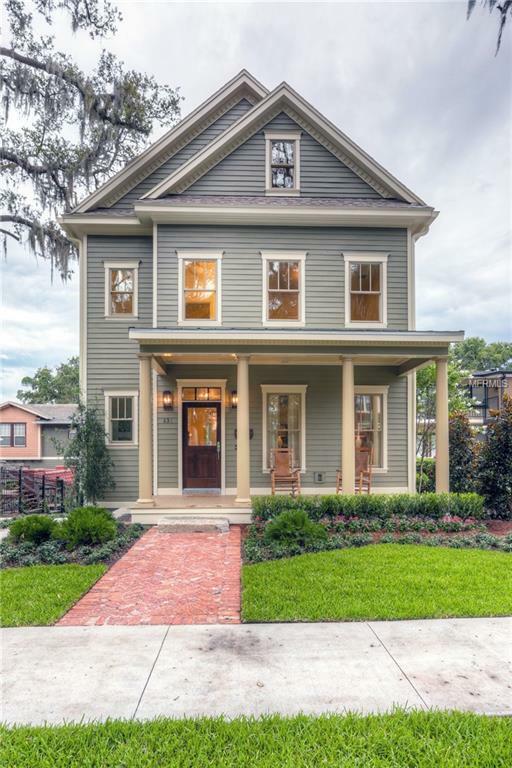 Absolutely STUNNING downtown Orlando custom home with a recent PRICE IMPROVEMENT. No detail has been overlooked in this exceptional, 3 bedroom, 2.5 bath home, with a huge 3rd floor bonus room and 2.5 car garage. 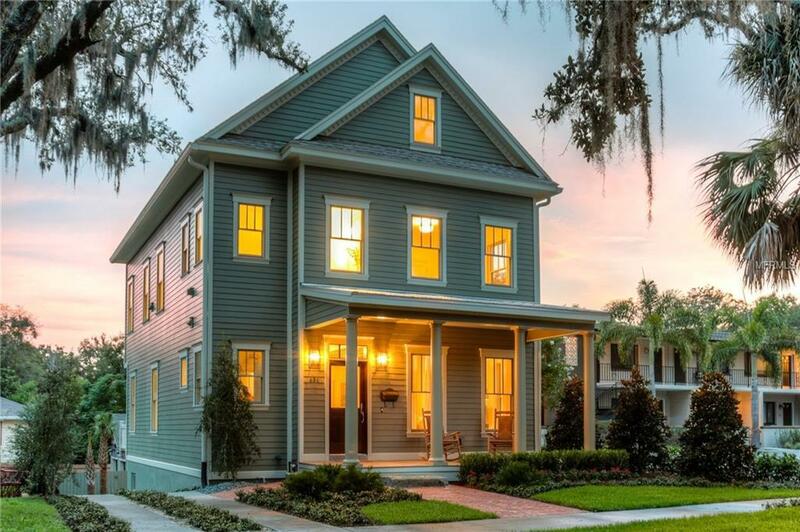 Enjoy the charm of a turn-of the-century dwelling, with all of the MODERN CONVENIENCES & luxurious appointments of a STATE-OF-THE-ART CUSTOM home. The award-winning, gourmet kitchen is the heart of the home, with beautiful, American-made solid wood cabinets with seeded glass doors, gorgeous granite countertops, high-end stainless steel appliances, reproduction 1900s fixtures & a stunning Carrera marble backsplash. 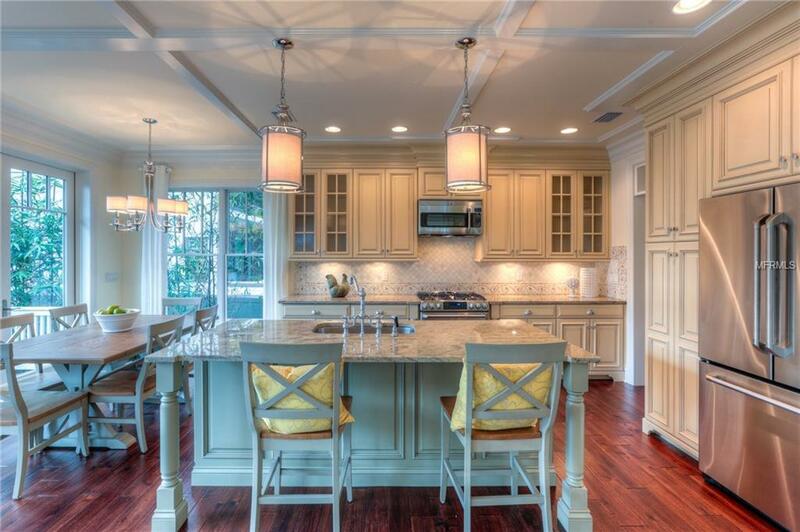 A large center island & bright, open floor plan make this the perfect home for entertaining. The spacious master suite features a large walk-in closet with custom storage, stand-alone, cast iron clawfoot tub, dual vanities & Carrera marble counters, floors and tiled shower. This exceptional home has a 4th large bedroom on the top floor which could be turned into anything you dream of! Maybe a home movie theater, a second master suite (plumbing available), or even a huge home office. There are so many beautiful details in this home, like the dark hardwood floors, high ceiling with custom millwork, energy efficient features & Carerra marble throughout. A private, low maintenance backyard features lush landscaping & privacy bamboo. 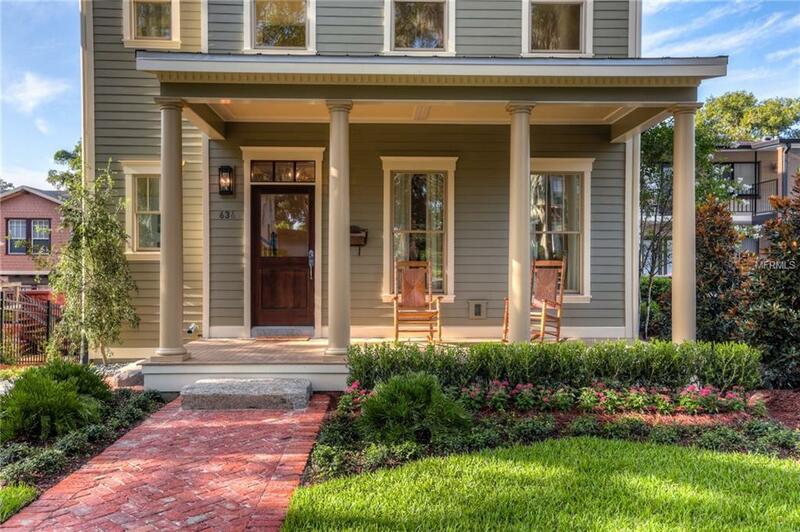 Located in the historic downtown neighborhood of Lake Eola Heights, its just a short walk Lake Eola, downtown Orlando and tons of fantastic dining & shopping.